baby gift | Infertility, why me? I had been wanting to make my newest niece (born in June) a baby blanket for sometime now and have a girlfriend who is currently pregnant with her second baby boy…..so I decided to finally get started. 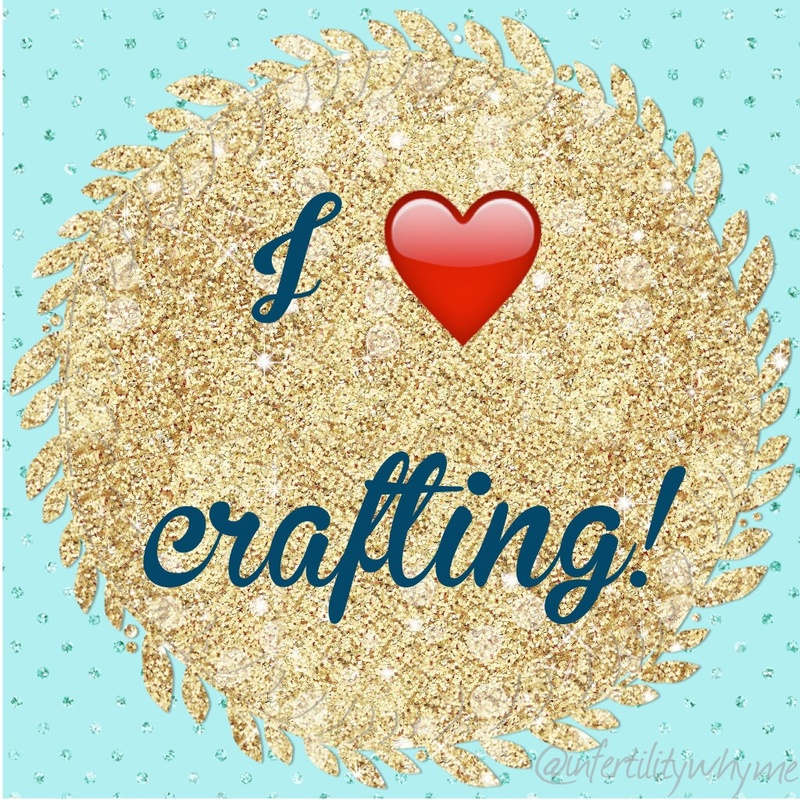 Crafting really helps me keep my mind off of things, and keeps me busy. 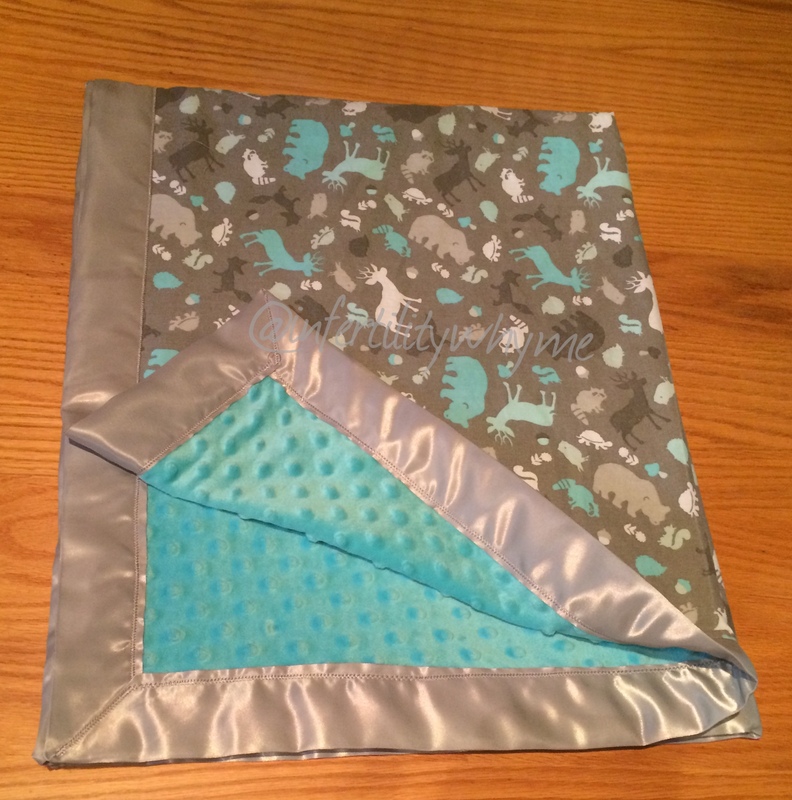 There are so many cute choices on Etsy for similar blankets, but I just couldn’t find the exact fabric that I wanted….plus I really liked the idea of them being handmade (by me). You’re really not saving any/much money or time by making it yourself (each of mine cost $20-25 for the materials, and took around 2 hours to make), but it is a fun/relatively easy project and will make a great gift! 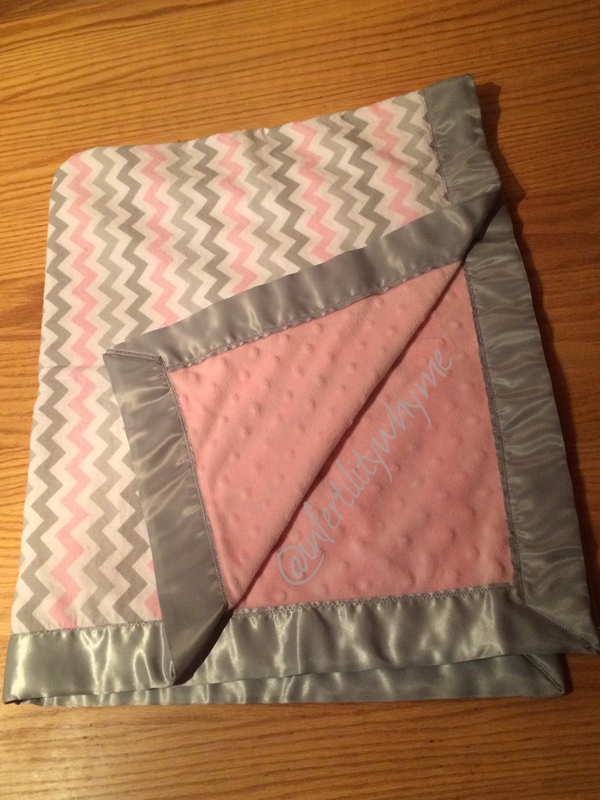 I found a great tutorial online which I followed step-by-step, except for the fabric choices. The tutorial was excellent, and I highly recommend it to anyone wanting to make a blanket similar to the ones I made.